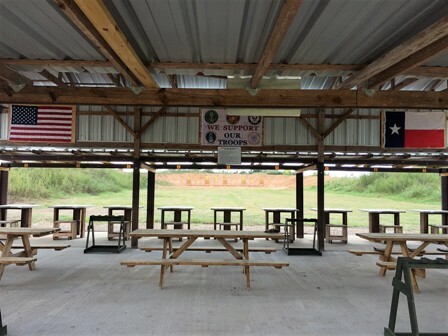 Wallis-Orchard Gun Range is an outdoor gun range located at 12206 Reinecke Road, Wallis, Texas (between Wallis and Orchard about ¼ of a mile off highway 36). We are approximately 25 miles west of Houston. We have 18 covered rifle stations of which 6 lanes are in 100 yard increments up to 400 yards while the other 12 lanes are 100 yards each. For special events, guest can shoot up to 700 yards. 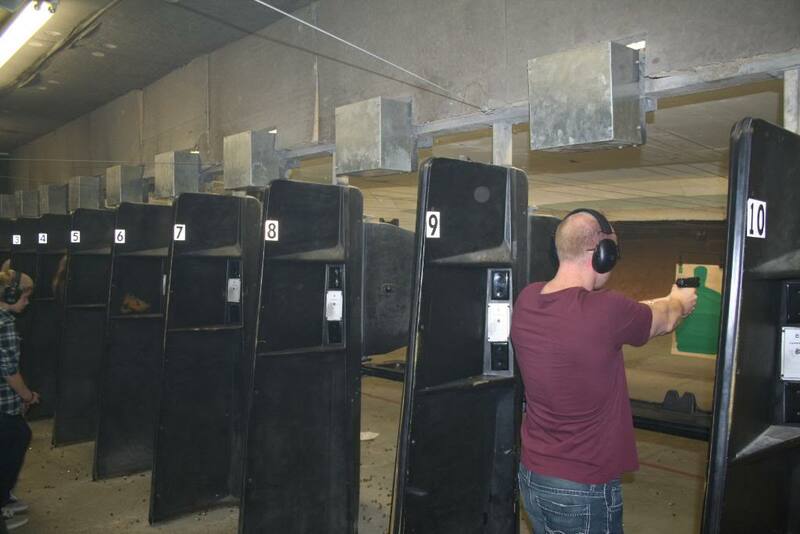 Our excellent pistol range encompasses 15 covered pistols bays with targets up to 20 yards. We also have 6 180 degree shooting platforms of various distances up to 80 yards that can be used for a wide assortment of competition matches (3 gun matches, tactical run n’ shoot, pistol and ect.) . 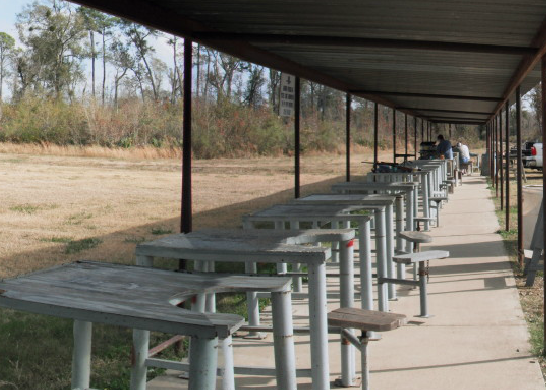 Wallis-Orchard Gun Range offers our guest covered picnic tables in order to relax, get acquainted, socialize, and just have fun. We are working on 3 other stations; a shotgun, 22 rifle, and archery. 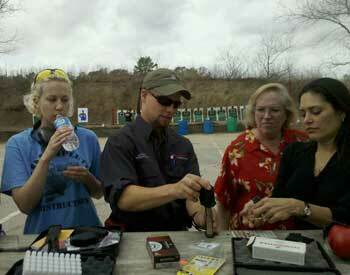 Our fees are $15 for all day per guest and $5 for each additional gun. No 50 caliber or fully automatic firearms are allowed at this time. We would love for you to come out and visit our facility and get acquainted with our staff.